MC67 Redefine productivity for your field workforce with the Motorola MC6 TC55 The personal touch computer built for business. MC1000 Robust data capture and bar code scanning capabilities for your mobile work fleet in one affordable, versatile package. MC2100 Feature-rich, high-value mobile computer expands solutions for large, small and medium enterprises. MC3100 Motorola MC3100 Series Rugged Mobile Computers brings cost-effective mobility and user comfort to key-based applications within the four wall MC3190-Z A business-class handheld RFID reader designed specifically to extend the benefits of RFID beyond industrial spaces and into customer-facing and business environments. MC55A0-HC The Motorola MC55A0-HC Healthcare Terminal addresses top healthcare mobility needs with maximum processing power. MC55N0 Offering the right level of features, rugged design and support for the most demanding business applications. MC65 Rugged computers that redefine productivity for your mobile workforce by getting the job done right–right now. MC75A The 3.5G MC75A, one of the world’s premium EDAs, offers more features and functionality, in a field-proven rugged form factor, than any other device in its class. MC75A0-HC The Motorola MC75A0-HC Healthcare Terminal addresses top healthcare mobility needs with maximum processing power. MC75A HF RFID The 3.5G MC75A HF adds integrated HF RFID technology to the widely deployed MC75A for contactless transaction and payment, asset and identity management. MC9190-G A member of the highly successful MC9000 Series, the MC9190 gives your workers the ability to process information and take action quickly and accurately, even in the harshest of environments. MC9200 With the rugged Motorola MC9200, take efficiency and accuracy to the next level in your most demanding environments. 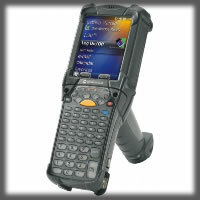 MC9500-K Raises the bar for premier rugged mobile computing, incorporating breakthrough ergonomic design and features. MC9190-Z A high-performance, industrial-grade RFID handheld reader that delivers best-in-class RFID read range and accuracy. Rugged, reliable and ergonomic, it excels in demanding environments. Dolphin 99GX Honeywell’s Dolphin® 99GX mobile computer with an integrated handle provides user-friendly ergonomics, cutting-edge wireless technology, multi-functional data capture and extreme durability for front-line workers operating in a variety of locations ranging from warehouse loading docks to retail shopping aisles for stock replenishment Dolphin 60S Scanphone Dolphin 60s, a part of Honeywell’s scanphone line, was specifically built to facilitate quick, reliable and secure access to business critical data. Dolphin 6110 Honeywell’s Dolphin® 6110 is a stylish and reliable mobile computer that provides advanced data collection and real-time wireless communication for in-premise applications including price lookup/audits, inventory management, customer assistance, and merchandising. LXE Tecton M7 Honeywell's LXE Tecton MX7 industrial mobile computer provides the ideal combination of performance and user-friendly features. Leading supply chains require mobile computing solutions that meet the needs of the user, the demands of a warehouse environment and the speed of today’s enterprise. Dolphin 9700 Honeywell’s Dolphin® 9700 mobile computer is a rugged enterprise digital assistant (EDA) equipped with multi-functional data collection and communications capabilities in one reliable, easy-to-use device. Dolphin 6000 Honeywell’s Dolphin® 6000 Scanphone converges the functionality of multiple devices into a single, durable, and affordable pocket-sized device. Today’s mobile workers require real-time communications and access to critical business data to make informed decisions at the point of customer service. 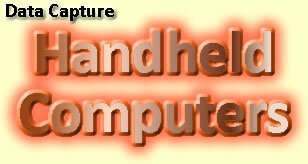 ScanPal 2 Honeywell's ScanPal2 is a portable data terminal designed for daily use in applications such as inventory/stock control, shipping/receiving, price checking and more.